Welcome to BIBLE BABEL, a site for lovers of history, Biblical lore, and possibly other related (and unrelated) bits of arcane knowledge. The title for this site comes from the Biblical Hebrew word for Babylon, BAB EL, the "Gate of God," or "God's Gate," which was derived from the Akkadian word for Babylon BAB ILII "the gateway of of the gods." Thus, the primary purpose of this website will be to discuss from an academic, non-denominational viewpoint, various passages in the Bible, and/or Qur'an, that have a bearing upon, or are connected in some way with the story and/or characters of the trilogy "THE LAST KING OF BABYLON." We will also veer into other areas of interest pertaining to the history of the Ancient Near East. The whole idea of this site, as well as the above-mentioned sister site, is to try to get people to use their brains a little bit and to think things through rather than basing their world views on preconceived notions and blind faith alone. In the tool bar on the left are the titles of, and links to, the essays posted on this site. Note: The more recent essays will be posted at the bottom of the list. Some of these essay's are footnoted extensively, others not so much, but ALL essays have been very well researched and some I've been working on for several years. For those who might be interested in my credentials for writing some of the scholarly essays listed in the tool bar, visit the sister site for "The Last King of Babylon and click on "About the Author." Before posting any essays pertaining to Biblical history, or any other topic, I would like to offer a disclaimer. The majority of people who delve into the study of the Bible, Biblical History and/or archaeology of the Bible, from an academic standpoint do so initially out of a desire to “prove” the Bible to be “true,” and not to “prove” that the Bible is “false,” as some fundamentalists like to believe is the case. In other words, most Biblical scholars in general want to use archaeology and the facts of history as related by other surrounding literate cultures as a way to “prove” that the various stories in the Bible are true. This in turn would reconfirm their faith that the Bible as a whole is true. Yours truly was no different in this regard so I want to make it clear from the outset that I have never considered my goal in life to be one of “destroying” the Bible, Qur’an, or any other “religiously inspired” book. On the contrary I’ve done everything possible to try to hang on to a belief in the Bible’s veracity for as long as possible, and performed every sort of mental gymnastics to do so throughout much of my life. However, along the way when the facts of archaeology, linguistics, comparative literatures from older, neighboring cultures, and other disciplines of knowledge, stare you in the face for a number of years you have to modify your views on the Bible, Qur’an, and/or any other “revealed” literatures, whether you like to or not. To fail to do so would require lying to yourself—which I did for a number of years until I got tired of lying to myself. While it is true that some of the historical aspects of the Bible are true in a general sense, there are a number of details that are incorrect. At some point in time you have to realize that the earth is no longer flat, it is a round sphere. Likewise, just as the world is not flat, it was not created in seven “days,” nor is it a mere five thousand years old, or six thousand years old, depending upon which part of the Bible you want to believe. And this raises a key point. The so-called “dates” that fundamentalists give for the “creation” of the earth were arrived at by people reading the so-called “genealogies” given in the Bible and then counting backwards. The problem is that there are at least three separate genealogies given in the Bible and each one provides a different starting “date” for the creation of “Adam.” Also, the Masoretic Text (MT) Bible and the Septuagint disagree with each other regarding these genealogies, and so on. So, it all depends upon which “Bible” and which part of the “Bible” you want to believe. Some of the different dates arrived at by former Biblical scholars for the creation of “Adam,” and therefore the beginning of the world, based upon these Biblical genealogies are: 3761 B.C., 3928 B.C., and 4004 B.C. Interestingly, while these dates prove the incompatibility of the “Bible” with the “Bible,” in a general sense they are not too far off from the time when writing began in ancient Sumer, and therefore written history. But the “creation” of man, and the beginning of the world, is an entirely different story which we will discuss in greater depth in subsequent essays. What all of this means is that the Bible should not be looked upon as a unitary whole. Rather it is a collection of literary works composed by a wide variety of people over a long period of time. Some of these literary works started out as oral histories or tribal traditions that were passed down from generation to generation until the society became literate and began writing their traditions and histories down. These works then were consequently edited from time to time as they were copied and recopied by various scribes throughout the ages. Other portions of the Bible, particularly the creation and flood stories, were borrowed from older Mesopotamian creation and flood stories, and then given a new twist so as to demonstrate some moral principle or other. Since the “Jewish” scribes who compiled these flood and creation stories knew very well that they were borrowing and doctoring pre-existing Babylonian creation and flood stories it is doubtful that they ever intended these stories to be taken literally. They were only using them as a technique for demonstrating the importance of obeying God’s commandments as they saw them. In other words, if you mess up, you get kicked out of the “Garden of Eden,” or you get washed away in some natural catastrophe like the “flood.” The same thing was true for many of the other classic stories in the Bible whether they were original Hebrew stories or not, they were doctored so as to portray some moral principle or other. Now, of course, even though these stories are borrowed from other cultures and/or doctored so as to illustrate some moral principle or other, does not mean that they are entirely factually wrong. Quite often there are kernels of truth buried amongst all the myths and distortions. It is the job of science to try to discover those kernels of truth via archaeology, linguistics, and contemporary histories, and to sift those kernels of truth from the chaff of the myths and distortions in which they are buried. And, that is what this blogsite is all about. Unfortunately, fundamentalists make the mistake of assuming that if a portion of a Biblical story is confirmed (for example an inscription with the name “House of David” on it, indicating that there was an historical Davidic dynasty), that the entire story is 100% true and that therefore the entire Bible is 100% true. Unfortunately, again, real life doesn’t work that way. Anyone who has ever written historical fiction, or any other type of fiction for that matter, knows quite well that “facts” and “historical truths” have to be doctored in order to compose an interesting story that has a plot, makes sense in terms of cause-and-effect, and has a nice twist at the end to wrap it all up while possibly delivering some sort of message about human nature, morality, and/or the world in general. The great majority of the Bible stories do that so extremely well—especially the stories about the patriarchs—that their “fictionality” is most obvious to anyone who themselves have written fiction, unless they want to be entirely dishonest with themselves. Real life just doesn’t happen that way—which is why the Old Bible stories are such wonderful stories. The Old Testament we use today is a translation of the Hebrew Masoretic text (MT) which was not compiled until sometime between the eight and tenth centuries A.D. The MT itself was of course, based upon earlier documents of which we have no record. In comparison with other early sources such as the Septuagint (a Greek translation of the Torah and other Old Testament texts compiled during the 3rd to 1st centuries B.C. to serve the Jewish communities of Egypt because they had lost their understanding of Hebrew) and the Dead Sea scrolls (compiled in Hebrew and Aramaic in “Palestine” during the same time frame), scholars have found a number of discrepancies, most of which are minor. Some scholars have estimated the agreement between the MT and the Dead Sea scrolls to be around 60%, others claim it is much higher. However, even were the concordance 100%, that would not prove the infallibility of the Bible, or prove that every single word is the inspired word of God, as fundamentalists like to believe. All it would prove is that the copiers of the “Bible” since the days of the Dead Sea scrolls have respected it enough to have copied and recopied it with meticulous precision. Unfortunately, in reality, that was not the case. The Talmud states that during the days of the second temple there were paid “correctors” of Biblical books among the officers of the temple. This raises the question that if everything was hunky-dory, why would they need “correctors?” Another Talmud story, referring to a time preceding the Talmud, said that three Torah scrolls were once found in the Temple court but were at variance with each other. The discrepancies were resolved by comparing the three and splitting the difference. Also of interest is that there are a number of “sacred” works found in the Dead Sea scrolls that were not included in either the Septuagint, the Catholic Bible, or the modern Protestant Bible. Among these “rejected” books were the “Book of Enoch,” the “Manual of Discipline,” and “The War of the Sons of Light Against the Sons of Darkness.” The Dead Sea scrolls are also sometimes at variance with each other showing that the scribes of the day (2nd to 1st centuries B.C.) were free to choose between different readings according to their personal tastes and discretion. So how did the particular books that currently make up our MT Old Testament come to be selected as the “holy” books most deserving to be included in the Hebrew Bible? Most scholars conclude that the MT that was compiled and sanctified during the high Middle Ages was based on earlier copies that date back as far as the early 2nd century A.D. It is believed that at that time a group of “Jewish” scholars got together and made a final decision on which texts, or “books,” should be included in the Bible, and which should be left out. Final decisions on word choices and exact spellings were also made at this time. From that time on then, all subsequent copies of the Hebrew Old Testament (or the so-called “Tanakh”) were to be exact copies of the original—even though the diacritical marks (i.e. short vowels, etc.) were not added until the high Middle Ages. While the Jewish religious scholars who first compiled the MT in the early 2nd century A.D. may well have prayed over their decisions, we have no guarantee that they were divinely guided in any way. Indeed, there were some books included in the “holy” scripture for the simple reason that they were imbued which such a high literary value that the scholar rabbis did not have the heart to leave them out. A case in point is the “Song of Solomon” which, though it is a good story, is basically erotica, and is therefore “profane,” as opposed to “sacred,” at least by the standards of today’s religious fundamentalists. However, it was so well written, and so beautiful in its lyrical sounds and rhythms that the synod of rabbis decided to include it in their version of the MT Bible for posterity’s sake. One of the primary reasons why fundamentalists, whether Christian, “Jewish,” or Islamic, fear the facts of science and history is that they fear the loss of their faith in God—should their “holy” book (or books) be shone to be anything less than “divine.” But that is a false fear, for the question of the existence or non-existence of God should not be held hostage to the veracity, or non-veracity, of the Bible, Qur’an, or any other book deemed to be “holy” by this group or that group of humans. The Bible is a wonderful collection of literary works and should be appreciated as such. At the same time, while its position as a “revealed” or “holy” book is no longer tenable, we must all of us, of whatever denomination, and whether atheist, agnostic, deist, or whatever, we must never forget that it is the Judeo-Christian principles expounded in the Bible that have made western civilization possible. Without the Judeo-Christian principles that provided the foundation for western culture there would have been no renaissance. There would have been no Bach, no Beethoven, no Michelangelo, and no U.S. constitution. There are very good reasons why all of these hall marks of civilization developed in the Judeo-Christian west and not in the Islamic world, or any other culture for that matter. So, regardless of what happens to the veracity of many of the stories in the Bible, we as a society must always remember that such things as the Golden Rule, the Sermon on the Mount, and the Ten Commandments are irreplaceable and must remain as the foundation upon which any future civilization of ours is built. Dropping Christianity and/or Judaism in favor of Islam, as some westerners have done, is not the answer. Everything that is wrong with Christianity and Judaism is wrong with Islam and then some. Islam has adopted most of the weaker myths and textual misinterpretations of Judaism and Christianity while adding many of its own myths and textual misinterpretations. So leaving Christianity to convert to Islam is like finding a ten-story building to jump off of, rather than jumping off of the one-story building you are currently standing on. Why make a bad situation worse? Nor is atheism the answer since it is nothing more than just another form of faith-based fundamentalism. Perhaps what Christianity (and the Western countries whose moral underpinnings and cultures are based upon the Judeo-Christian heritage) need(s) is a reformation. 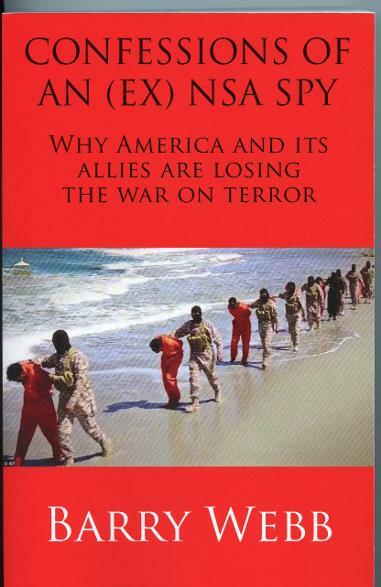 After 9/11 many intellectuals in the Islamic World said that what they needed was a reformation since Christianity has already had one, while Islam has not. The idea behind this suggestion was that Christianity’s reformation has somehow made the western world more advanced, more “civilized,” and more tolerant of other religious traditions. While it is true that Islam is in bad need of a “reformation,” so is Christianity if we want to have any hope of salvaging its more positive principles for future generations. The fact of the matter is that Christianity has never had a real reformation. Martin Luther and the other protestant movements did not do much more that just get rid of the influence of Rome and the Papacy. They did nothing in terms of re-evaluating the Biblical Texts passed down to them by the Roman church, nor did they make any attempt to de-mythologize the belief system adopted by “Christianity” from the early Middle Ages. It is many of these myths and textual misinterpretations contained within mainstream and fundamentalist Christian (and Jewish and Islamic) beliefs that this blogsite will address. One reason I am including this long disclaimer about the Bible (more so than about the Qur'an or any other "revealed" book) is because the story of the Last King of Babylon, Nabu Na’id, has been badly distorted by the Biblical Book of Daniel. Parts of the folk history, legends, and myths, about Nabu Na’id were attached (by the writers of the Book of Daniel) to the story of one of his predecessors, and father-in-law, Nebuchadnezzar. So, one of the first essays I want to post on this blogsite will have to deal with the Nebuchadnezzar/Nabu Na’id mess in hopes of unraveling at least some of the myths and misconceptions that have been attached to the principals—without, I hope, offending too many religious sensibilities. 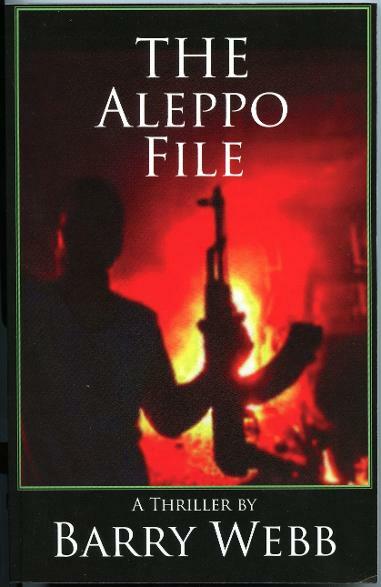 Kindle and Nook versions are also available. What if an ancient table was discovered that undermined the foundations of both Christianity and Islam while giving instructions for re-awakening an older god, a god who exacts frightful revenge while promising a utopia of eternal life, peace, and vast knowledge—in return for absolute devotion and loss of free will? What if that “god” was an artifact buried just under the surface of the moon supposedly by an ancient space-faring race? What if the president of the United States had a Messiah complex and staged his own “assassination” and “resurrection” three days later in order to become the “son” of that new/old “god” on the moon? Matt Nolan and his colleagues in the U.S. Intelligence Services have only a limited amount of time to uncover the secrets of the resurrected artifact and find a means for destroying it and corralling the president—before they themselves are destroyed. Is it the rapture that Evangelicals have been praying for? Is it the new heaven and the new earth prophesied in both the Bible and the Qur’an? Or, is it the anti-Christ? The Beast of Revelations? The great blaspheme? The abomination that maketh desolate? Or, is it something else even more sinister? 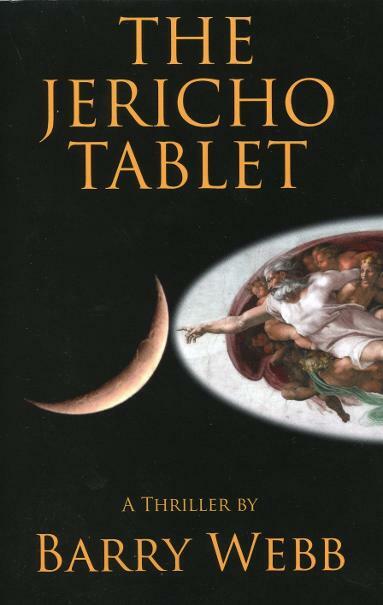 THE JERICHO TABLET serves up a captivating mixture of ancient Near Eastern history, religion, and linguistics to go along with its modern day spy craft, political intrigue and corruption, media collusion, and science—while entertaining the reader with a fast-paced plot. CARVED IN STONE is an excellent, and well-researched account of palace intrigue in 15th century B.C. 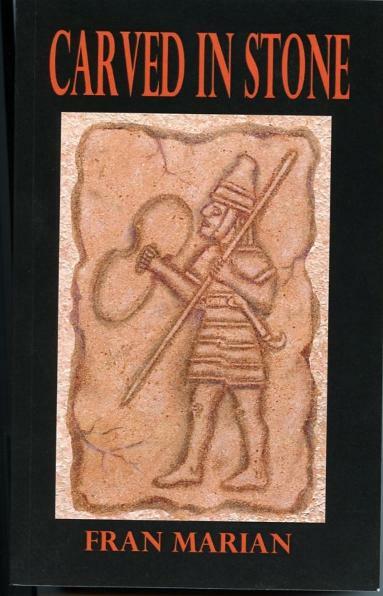 Hittite Empire. Available on Amazon.